As the world celebrating the International Labour Day, motorcycle enthusiasts was enjoying their own festival, first station of CRRC 2015 at Nanjing, the capital of six ancient dynasties. 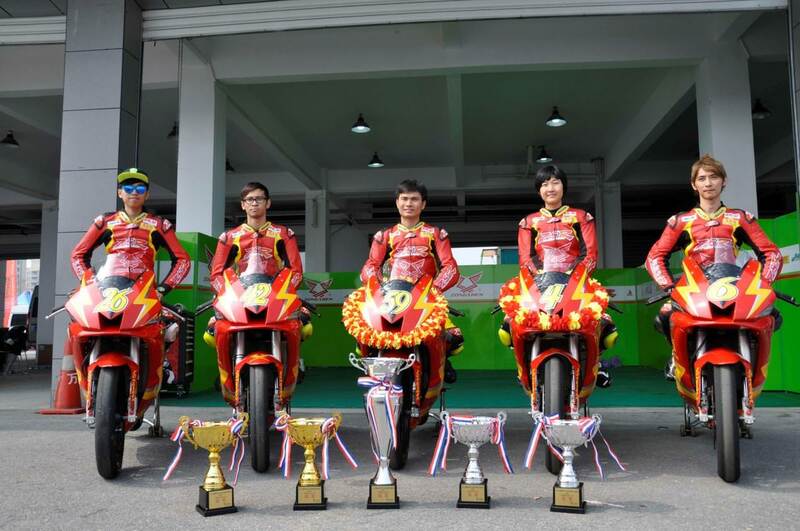 In the sun-scorched and rain-drenched race, the defending champion Zongshen racing team, with their upgraded RC250 and perfect teamwork of the crew members, won all four group and individual championships of two rounds in the Manufacturer Cup domestic 250CC race. Their throne was unchallengeable at the moment. A motorcycle race is all about the overall power, including the bike, the racer, the technical team, and the economic strength. The performance of the racing bike especially determines the final results in the game. Taking the young F1 champion Alonso for example. As a two-time winner of the Formula One World Drivers' Championship, he has been regarded as one of the most skillful F1 racers in the world. However, after leaving Ferrari to McLaren-Honda this year, his score has suffered a disastrous decline without a superb car. 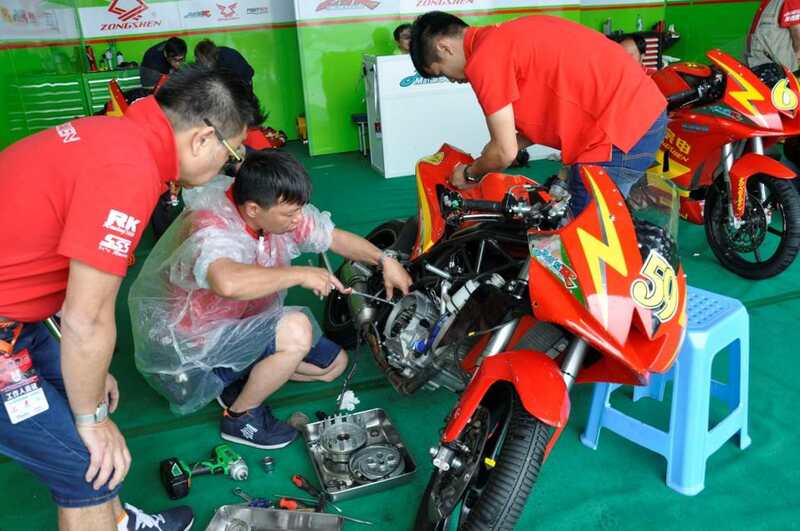 After coming back from last year's race, Zongshen racing team, with the support of the company, carried out a significant upgrade on RC250R, especially a substantial improvement on its NC250 engine. They developed DOHC system on the engine, giving it more power during high speed rotation. Furthermore, a dual EFI System instead of the carburetor injection system insures an improvement of engine power by over 20%. The bike has secured their defense of this year's championship. As the bike got upgraded, the racer team was strengthened as well. Last year, He Zhifeng seemed to be a little companionless in the race. This year, the situation is changed a bit. For He Zhifeng, there is no need to give unnecessary details about his capability, which has won him numerous championships. This year, He is able to reunite with his former female teammate, Liu junmei from Taiwan. Liu Junmei represented Zongshen racing team back in 2003 to 2005 and won the 2004 CRRC original 125CC championship, and then after she returned to Taiwan and kept participating in competitions held all over the island and earned herself a remarkable record. Though always with mild smiles on her face, Liu is really tough and captivating on the field. Meanwhile, the team has also absorbed another tough guy, Cai ziyang, an experienced Hongkong racer. Residing in New Zealand, Cai attends domestic races as well as Zelanian games. The three players will compete this year for Zongshen racer team to defend their crown. Additionally, two more young racers were invited too. One is a 14-year-old Hongkong racer, Luo Junjie. 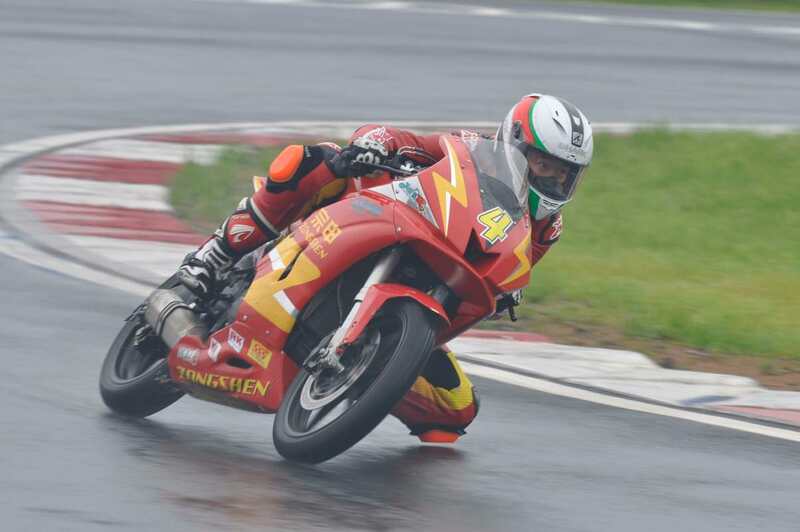 No doubt he's quite young, but he has been participating in professional competitions for over two years and ranked No.16 in last year's CRRC 150CC open group, making him more fascinated in motorcycle racing. Another young racer is the 20-year-old Huang Wenfei. Attending games in Macaw since 17, Huang possesses immeasurable talent. The team expects them to steel themselves through high-level competitions like CRRC 250CC open group in order to carry on the duty from the veterans in the future. On May 2, despite the lashing rain, Wantrack International Circuit was still clamorous. The pageant of 2015 CRRC Nanjing Station kicked off in a shower. At 1 PM began the first round of domestic 250CC open group qualifying. Zongshen sent its upgraded RC250 and the deluxe racer lineup. Experienced knight He Zhifeng got a good lap time of 1 minute 21 seconds and 251 milliseconds, ranking first. Later on, he rode back to the inspection pit and got his bike adjusted for getting a better score in round two. By the end of the first qualifying, the other two racers in the team also got excellent results with Liu Junmei ranking No. 2 and Cai Ziyang ranking No.3. An hour later, although the rain lightened up, the circuit was still slippery. Following a busy tuning, racers rode their bikes back to the circuit to face the second round of the qualifying. Zongshen team performed stable and its each racer had an about 2 seconds improvement of lap time and once again secured their occupation of the top three positions. The ranking was exactly the same as in the first round and He Zhifeng won his first pole position in 2015 with the best lap time 1 minute 19 seconds and 461 milliseconds. The race lasted for only three days. The first day (May 1) was only for administrative check. However, the second day was full of events, including practice, two rounds of qualification and the first round of race. Running four times a day can really give a hard time for both the team and the racers. If you encountered any accident, you could not even have time to fix the bike. The third day was again very easy, including only the warm-up exercise and the second round of the race. The first round of the Nanjing race began around 3:45 pm. He Zhifeng hesitated a bit at the beginning, giving his leading position to his teammate Liu Junmei. But the two were riding extremely close, quickly leaving behind other contestants. At the last corner of the first lap, He reseized his first place from his partner and rival. After finishing the first lap, the two leading racers from Zongshen have gained a 5 seconds advantage over following contestants. As the race went on, He also left Liu behind a bit. 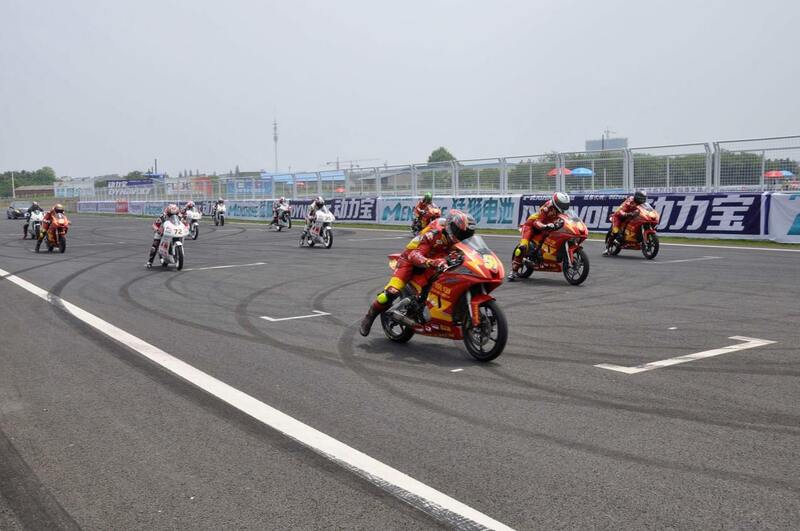 To everyone's surprise, the one riding to the third was the 14-year-old young racer Luo Junjie, keeping almost 5 seconds ahead from the 4th player, XGJAO' Zeng Jianhang. If everything went as expected, Zongshen could possibly have a clear sweep again in the first round. However when it came to the sixth lap, a racer fell on the circuit. For safety concern, the organizer terminated the game immediately. According to the rules, the race should continue if 75% of total distance hasn't been finished and the total distance was 15 laps. Given the finished distance was less than required, the race restarted after a short circuit clean-up and medical aid for the injured. This time, the starting position was determined by the position when the race was ended. The start over did not affect He Zhifeng and Liu Junmei at all, but gave Luo Junjie a higher starting position at No. 3. When the race began, He Zhifeng took the lead and never gave it away again, not even to Liu Junmei. Before long, he crossed the finishing line, winning himself the first champion in 2015. After a 10 year departure from mainland circuits, Liu Junmei's performance was valorous and stable enough to win her the second place. 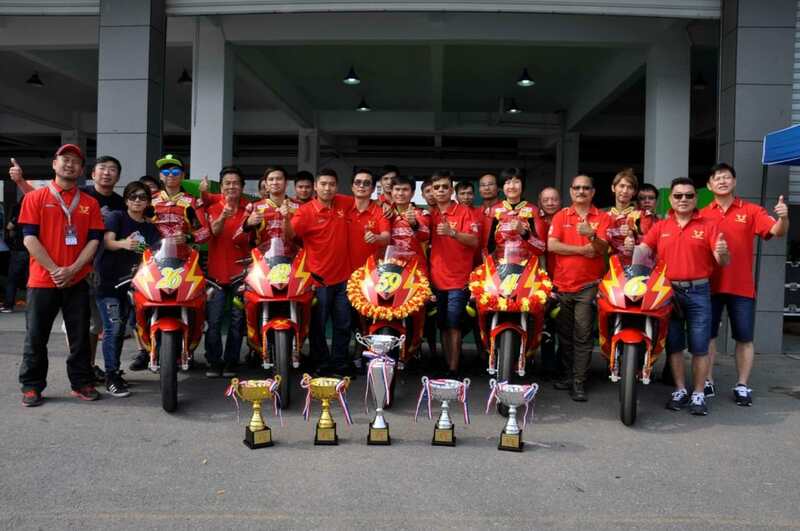 The team champion was also taken by Zongshen easily. Other members of the team got good results as well, with 14-year-old Luo Junjie at No.5 and Cai Ziyang at No.7. After the race, He Zhifeng told the reporters that RC250 really brought him an awesome riding experience this year, especially the strong power and acceleration. On May 3, the scorching sun was hanging high above the Nanjing Wantrack International Circuit. At 12:00 right after the short opening ceremony began round two of the Manufacturer Cup CRRC 250CC open group. Based on yesterday's qualifying result, three racers from Zongshen, He Zhifeng, Liu Junmei and CaiZiyang, were waiting for starting signal at the top three positions of the lineup. The moment the signal was sent, Zongshen's RC250 flashed off like a thunderclap. He Zhifeng has maintained his leading position since departure and finally got chance to expand the distance between him and his pursuing teammate, racer No.4 Liu Junmei after 3 laps. While Liu Junmei was chasing He Zhifeng, racer N0.72, Zeng Jianhang from XGJAO attempted to make approach but eventually failed to follow her pace after 5 laps. He was gradually left behind later on. There was little suspense that He Zhifeng and Liu Junmei once again took the first and second places, therefore the Team Champion went to Zongshen. Another racer Cai Ziyang, however, rode with injury. Due to yesterday's weather and slippery road condition, he fell and hurt his left arm, making the game a little hard for him. Fortunately, he showed great perseverance and calmness of a veteran, earning himself fourth place of the game. 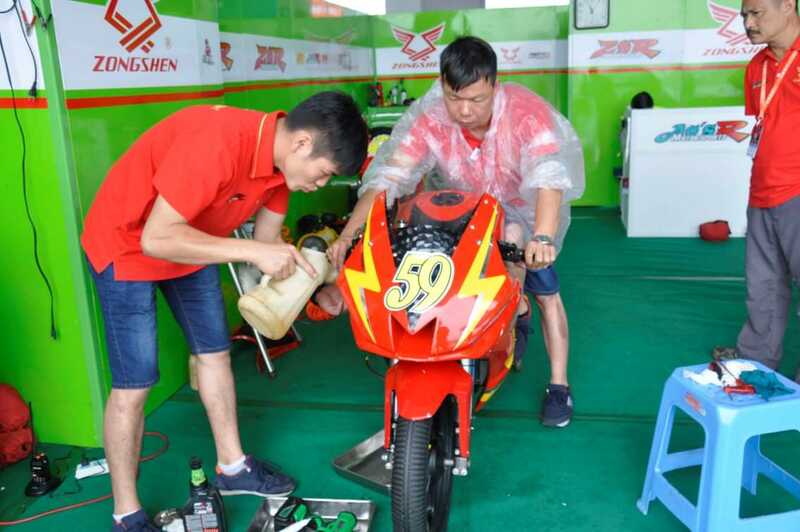 At Nanjing station, Zonshen racing team got the first round, the second round and the team champion, winning 90 points. He Zhifeng got 50 points and Liu Junmei got 40, a good start for their journey of defending their championship. The circuit is the best test ground for products. At Nanjing, audiences were amazed at how easily it seemed for He Zhifeng to capture both champions consecutively. While how? He Zhifeng told the media in the post-race interview that the RC250 he rode was expected to at least win a 2 seconds advantage over its rivals per lap, but the mud brought by yesterday's rain made the circuit slippery. That's why his best lap time was just 1 minute 14 seconds and 516 milliseconds, only 1 second faster than his rival. However, the difference of one or two seconds should never be underestimated, because tiny data like this is just the reflection of technology improvement. Each improvement of racing data attribute to the continuous innovation and effort of the Zongshen Team. We are informed that since Zongshen got both champions in CRRC and MotorE Racing in 2014, they've been preparing for races in 2015. Both the DOHC and the dual EFI system have undergone thousands of tests and improvements. They even recorded the original data relating how the exhaust pipe affects the bike's performance in each race and test. That is why the RC250 we see today has a streamline pipe rather than a right-angle one before. Only a stallion with a suitable saddle can it win a horse race. A good racer also needs an excellent bike to bring out the best of each other. Zongshen's diligence in technology development really paid back. One minute on stage takes ten years of practice. The racing game is not only the combat among racers, but also the confrontation of the machinist team. Zongshen's top gun machinists and their diligent work firmly secure the logistic support for their racers and bikes. We can always see in Zongshen's maintenance shop that every bike is accompanied by two guys in red t-shirt, the machinists. We barely see them idling the time. Sometimes they are seen installing insulation blanket on the tires, sometimes uncovering the body and scrutinizing the engine, or even bending over the bike to check the internal sound. It is said that each bike is assigned with at least two machinists. They are responsible to all the problems the racers would encounter in a game and should communicate with them in order to adjust the bike from their feedbacks. When the racers march to the circuit, the machinists will follow with their tool trolleys and frames. They will keep doing the heat preservation for the tires and make final adjustments before the starting signal. Once the racer drives off the circuit to the pit, they would rush to the racer, checking and making further adjustment if needed. Zongshen racing team has cooperated with its machinist team for almost ten years. We believe that with the support of such a stable, harmonious and capable team, they are sure to defend their championship once again. Previous：Take a look at some of our brand new motorcycles released at the Canton Fair!